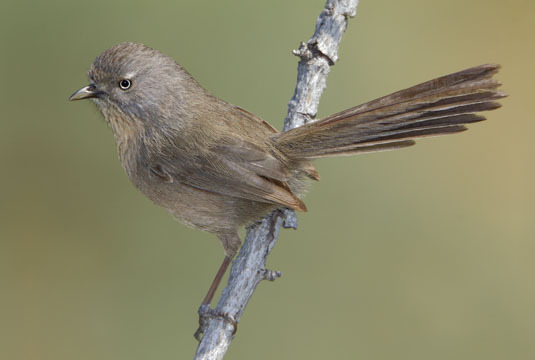 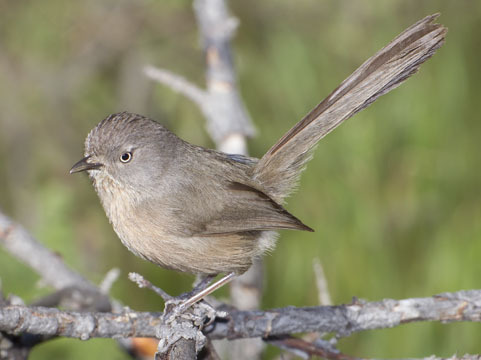 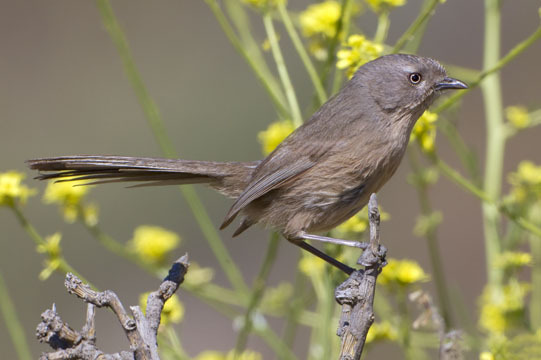 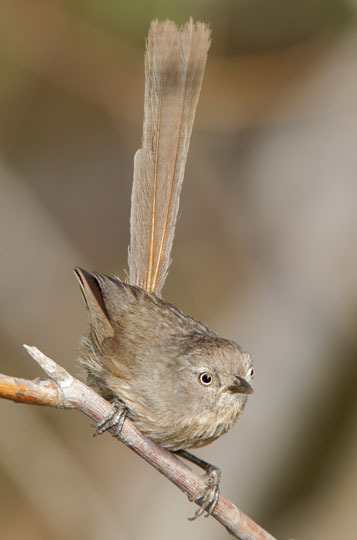 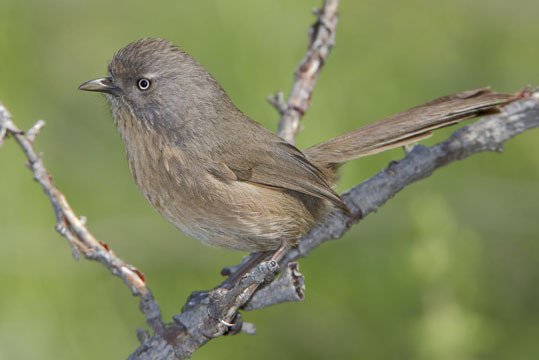 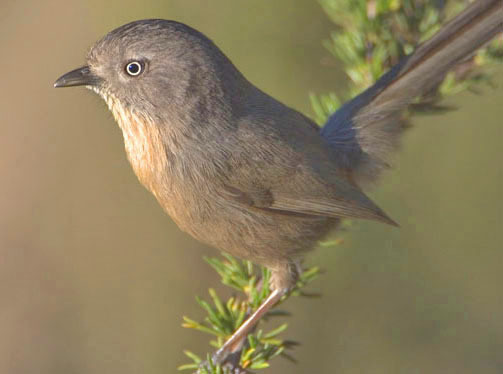 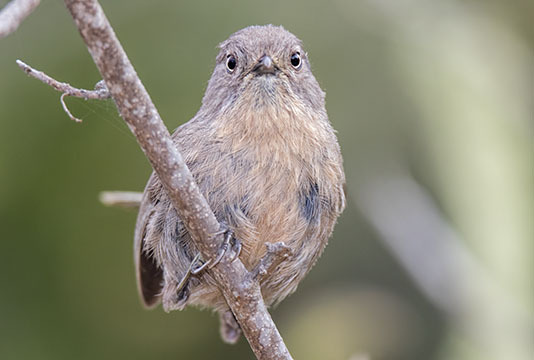 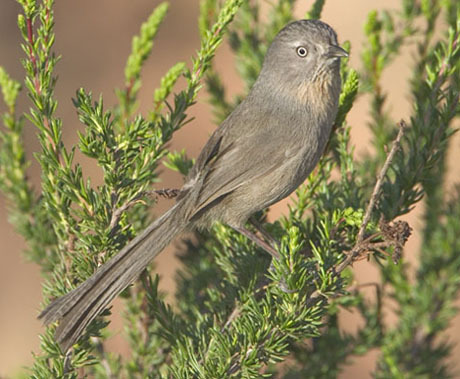 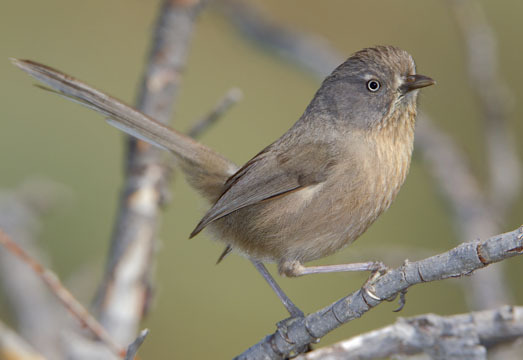 Wrentits are small, fluffy, lively gray-brown birds that live in pairs in dense brush and chaparral. 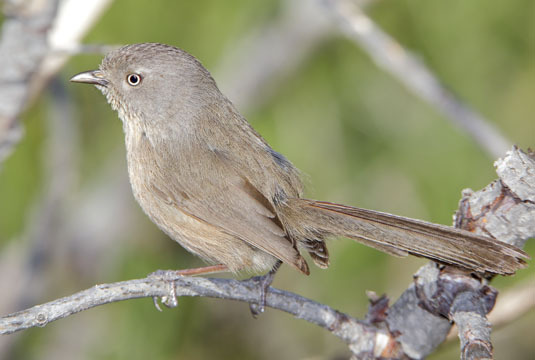 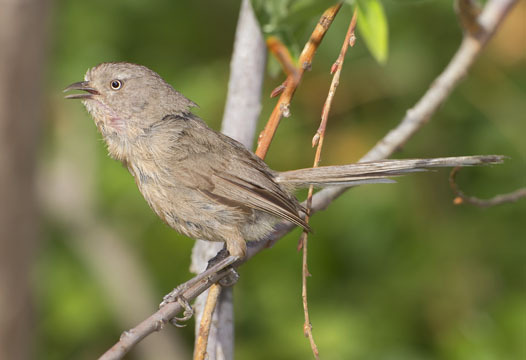 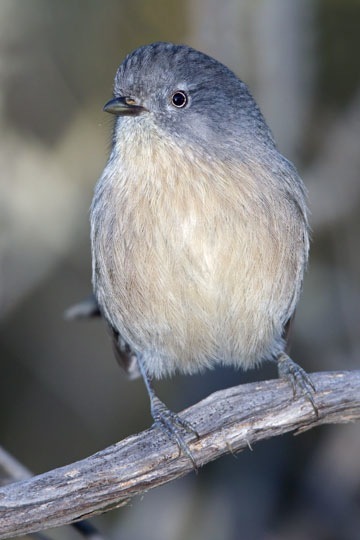 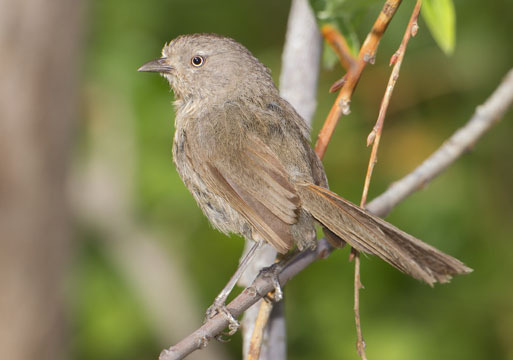 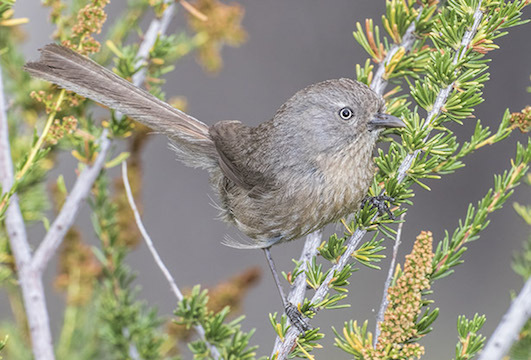 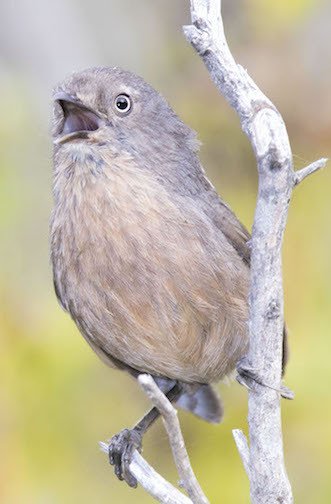 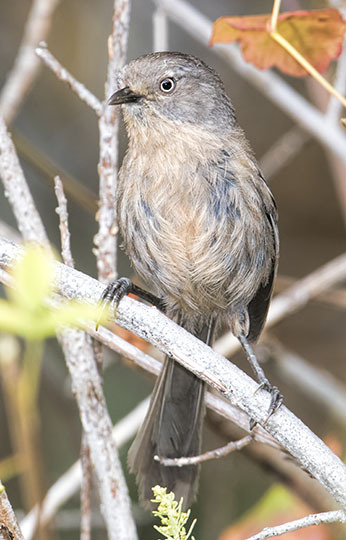 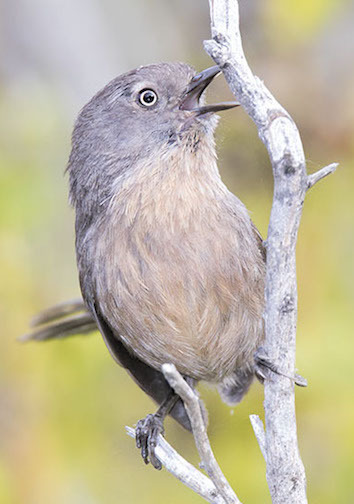 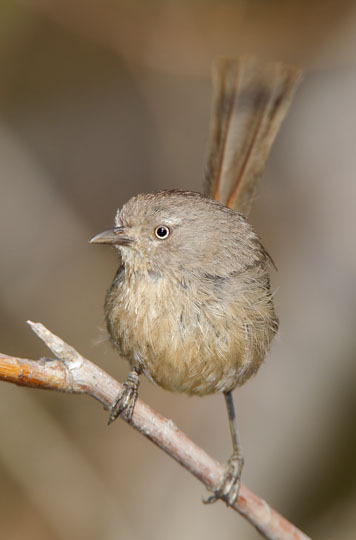 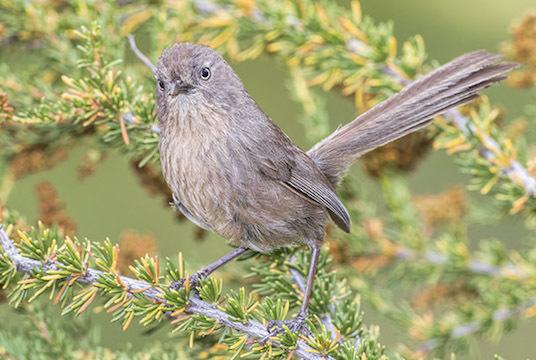 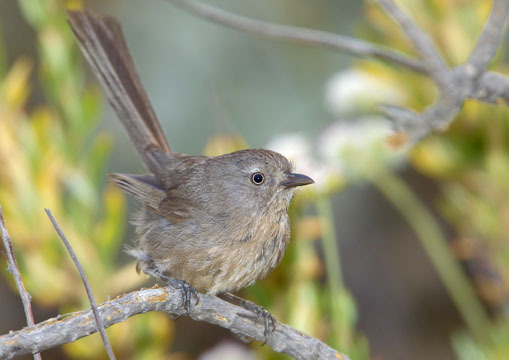 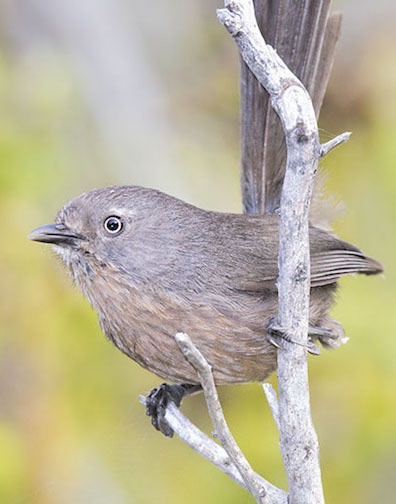 They have a very limited range along the west coast of the US, and are the only bird family endemic to North America (they were thought to be related to the old-world babblers, but recent DNA sequence work suggests they are sylviid warblers). 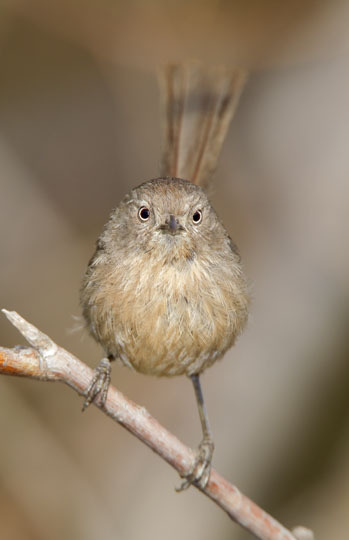 Although they live in dense underbrush, they are fairly easy to find (or at least to locate) because of their loud 'bouncing ball' calls. 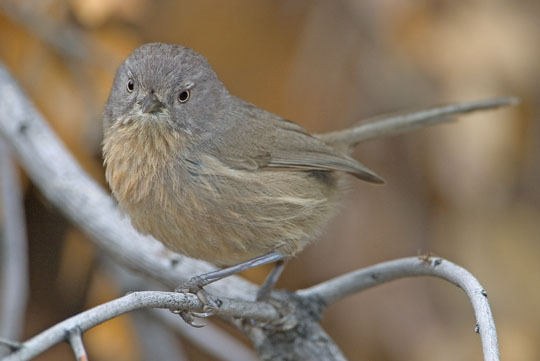 They also make soft purring or twittering noises, especially when disturbed. 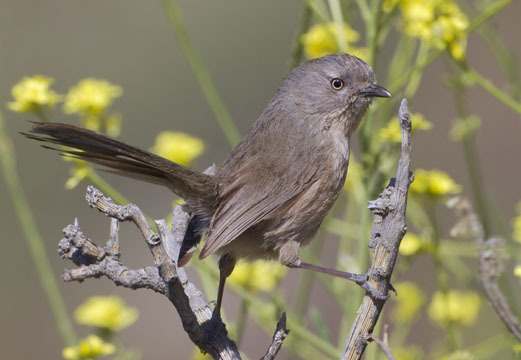 The birds picture here were in fresh spring chamise (Adenostoma fasciculatum) foliage in the Box Springs Mountains, near Riverside, California or in the nearby San Bernardino Mountains.